When making your decision about buying versus building, there are a number of factors to consider. Building your own home has the potential to be easier than before, particularly with so many developers offering a predefined set of floor plans and options. It also gives you the flexibility to have things just the way you would like them. But even with the added convenience of a developer, there are some drawbacks as well, price being the most important. Currently, on average, it’s 20 percent cheaper to buy than to build. Building your dream house adds sentimental value and advantages in the long run. When you build a home you can have everything your way, from the carpets to the cabinets and everything in between, both structurally and design-wise. There are definitive feelings of emotional fulfilment and pride in a house that has become ‘your baby’. Also, having everything brand new and up-to-date is an advantage when you build instead of buying an existing home. Furthermore, the construction materials and building code will be up to the latest safety standards. Modern society is also reflected in a newly built home – everything from wiring for high-speed internet to the latest in spatial, acoustics and architectural trends can be added without much trouble. If you are buying an existing home, Transfer Duty is payable on the purchase of a property from a natural person. In the event of purchasing from a developer, the developer will be VAT registered, and the price of the property will include VAT. The VAT is payable to SARS by the developer at 14 percent of the purchase price, but Transfer Duty payable on the purchase of an existing home is payable to SARS by the purchaser. 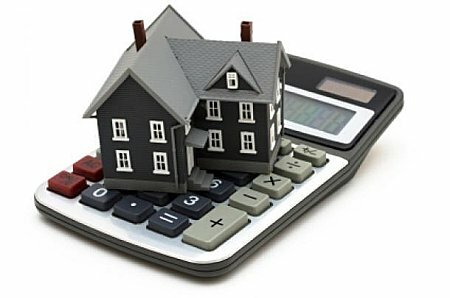 On properties costing up to R600 000 there is no Transfer Duty, but the more expensive the property, the more Transfer Duty is payable. Speak with anyone that has built their own home and most have horror stories about the project taking too long or exceeding cost expectations. Whether it is inclement weather, problems with obtaining the proper materials, delayed inspections or an overstretched general contractor, building your home from the ground up can come with significant delays. Going the route of developers is popular but it often limits you to using their floor plans. Developers will typically quote six to seven months to build a home from one of their existing floor plans. To be safe, plan for an additional two to three months of time before you want to actually move in. Apart from being frustrating, it may also put you in a financial bind as you find yourself getting hit twice with the mortgage or rent on your current residence and the same on the home you are building. Some families find that it can become a race against time and their bank accounts will be performing double duty. Being in a new development has its advantages, but those advantages come with a price. Certainly, there are additional homeowner fees or assessments in a development to add to your monthly costs, but especially if your neighbourhood is brand new, you may find yourself living among the noise of construction from other homes and loud trucks and a parade of prospective homeowners. Cost is also a huge factor as it is almost always more expensive per square metre to build your home than it is to buy an existing home. New fixtures and upgrades can really add up too, especially if you are looking to decorate your home just like the development’s models. The personal time commitment can also be taxing emotionally. Consider the meetings with the developer and sifting through the catalogue of fixtures and upgrades to find just the right balance. Finally, even though you are building your own home, you may be restricted to the floor plans offered by the developer. It may be difficult to find the right neighbourhood, as well as a lack of attractive floor plans that meet your expectations. If you decide to buy you should consider whether to buy an existing home or from a developer in a new complex/development. If you prefer the latter you do not have to put up with the previous owner’s taste and have the choice of deciding what finishes you desire so you can make your dream home a reality. When buying from a developer, VAT is normally included in the price and you have a five year major structural defect warranty as well as a one year roof leak warranty from a building contractor registered with the National Home Builders Registration Council (NHBRC). Properties in your immediate area are usually also new and still well-maintained, modern, and so on, and this will have a positive effect on the increasing value of your new home. The initial maintenance cost is low, however, you can still find great deals in older properties/suburbs and go the refurbishment route. The decision to build or buy, or what to buy is not an easy one and each has its own set of advantages and problems that need to be carefully weighed up. If this is your first time round, there will be discomfort in any path you choose and there is really no right choice that suits everyone. In making your decision, consider things such as your financial situation, job security, long-term plans for being in the area, and your sanity. Owning a home is a great experience, but it is also a taxing event in your life and you need to be prepared for what lies ahead.